Will today see India's first private airline getting totally grounded, at least temporarily? The three-hour Jet Airways board meeting on Tuesday to decide on the crumbling airline's next course of action - its lenders were divided on whether to hand over the remaining promised interim funding of over Rs 1,000 crore without additional collateral the previous day - remained inconclusive and its operating fleet is now down to just five planes. Civil Aviation Secretary Pradeep Singh Kharola said yesterday that the airline has sought emergency funds worth around Rs 400 crore from banks and that the matter is between the carrier and the reluctant lenders. Adding to the airline's woes, its pilots' body, National Aviator's Guild (NAG), is now threatening to seek resolution under insolvency law. Many of Jet Airways' 16,000-plus employees have not received salaries since January. On March 25, Jet Airways' board had approved a debt-swap revival plan, under which the lenders were supposed release an emergency loan of Rs 1,500 crore and, in turn, acquire a majority stake in the airline. But, thus far, they have only disbursed less than Rs 300 crore - and that in small amounts - citing procedural delays. Due to this, the airline has neither been able to pay pending salaries nor its lessors and, hence, been forced to ground the bulk of its planes. The carrier has already suspended international operations till April 18. According to India Today, a crucial decision is expected today - Jet Airways CEO Vinay Dube dashed off a letter to lead lender State Bank of India (SBI) on Tuesday stating that the airline would be forced to ground its entire operations if it does not get immediate financial help of Rs 400 crore. But the buzz yesterday was that the lenders wanted to weigh the seriousness of bids received for the recently-concluded stake sale before firming up any funding plans. Without an immediate cash infusion, Jet Airways' will have no choice but to temporarily halt operations. "Please note that in view of the critical liquidity position of the Company, its operations have been severely impacted. 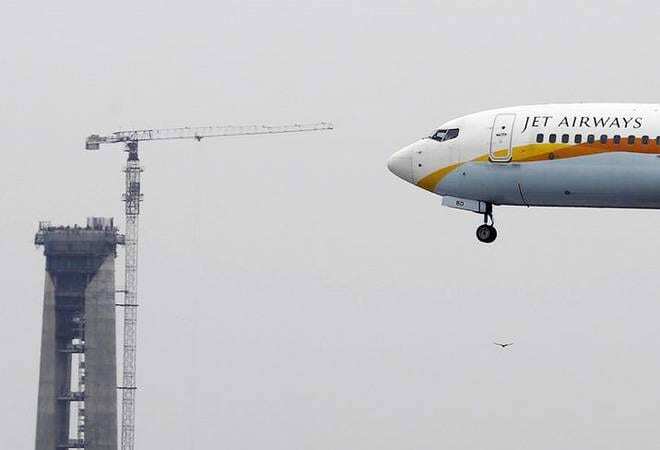 Meanwhile the Company is awaiting emergency liquidity support from the consortium of the domestic lenders led by State Bank of India," Jet Airways said in a regulatory filing last night. "The Company's leadership, in consultation with its Board of Directors, is engaged with lenders in connection with the said emergency funding request to arrest a further deterioration of its services and minimize inconvenience to its guests. The Company is also in constant engagement with the Directorate General of Civil Aviation and Ministry of Civil Aviation in this regard." Bank and government officials continue to maintain that it's not yet the end of the road for the airline. Sources in the government told PTI that lenders are discussing ways to revive the crisis-hit carrier and fresh funds are likely to be infused shortly. Representatives of various lenders to Jet Airways are also understood to have discussed issues related to the beleaguered airline with Financial Services Secretary Rajiv Kumar. Jet Airways is saddled with debt of over Rs 8,500 crore. "Discussions for reviving the airline are underway and nothing has been finalised as of now," Punjab National Bank Managing Director and CEO Sunil Mehta also told reporters in New Delhi on Tuesday. Significantly, Civil Aviation Minister Suresh Prabhu has called for a review of issues related to Jet Airways, including rise in airfares, today. Meanwhile, founder and former chairman Naresh Goyal has withdrawn from bidding for Jet Airways after Etihad and TPG Capital threatened to cancel their proposals. Goyal had submitted his Expression of Interest (EoI) as part of a consortium on April 12. SBI Capital Markets, which has the mandate for the stake sale on behalf of the SBI-led consortium, is currently vetting the initial bids received and as per reports the shortlisted investors will be given time till May 10 to submit binding bids. That just might be too late for Jet Airways. According to NAG, which has around 1,100 members, the airline is only operating around 450 seats per day. The body's Vice President Aseem Vlianini said the union might approach the National Company Law Tribunal (NCLT) for a resolution under the Insolvency and Bankruptcy Code (IBC). He added that while the airline's management has said that salaries would be paid from the additional funding only, SBI has a contrary stand. And that's pretty bad news for the already disgruntled employees. According to an airline source, the number of pilots has dropped to around 1,300 after about 400 pilots left in the wake of the crisis. "On Tuesday alone 23 pilots left the airline," the source claimed, adding that over 100-odd pilots have joined budget carrier IndiGo. With uncertainty mounting over the fate of the airline, its shares crashed nearly 19% yesterday and is currently trading nearly 8% lower at Rs 241.85 apiece. Jet Airways has arrived at this dire crossroads almost 26 years after getting its first two aircraft. On April 18, 1993, as JRD Tata received the planes, he had some advice for Goyal. "Naresh, if you cannot make Jet Airways better than the best, then send these two aircraft back today," the father of Indian aviation had reportedly said. Poignant words, indeed.